Believe it or not – Lord Bew is Chair of the UK’s Committee on Standards in Public Life. In the Sunday Independent today, Lord Paul Bew has issued a poor apologia for his role in the Boston College oral history debacle. It neither befits his role as one of Ireland’s leading academics nor his position as Chair of the UK’s Committee on Standards in Public Life, whose principles he has clearly breached. If this story, indeed this scandal, becomes a public issue in the UK, I cannot see how Bew can continue in his £500.00 per day role as the UK’s primary guardian of ethics for public officials. Will the chairperson of the Committee on Standards in Public Life, Lord Paul Bew, now apply his own ethics charter to the flawed and inflammatory oral history project he instigated? 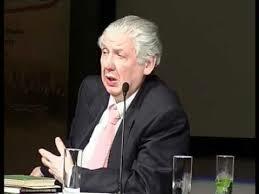 Lord Paul Bew - created the discredited oral history project. The instigator of the discredited Boston oral history, Lord Paul Bew who became a peer in 2007, is the chairperson of the UK’s “Committee on Standards in Public Life”. This high profile committee advises both the British Government, and public figures generally, on ethical issues they need to be aware of whilst carrying out their duties. The Committee bases its principles on a code of ethics – the Nolan Principles – which the UK parliament has adopted as a basic ethical guide for MPs and Peers. Lord Bew was appointed by David Cameron in July 2013 after an open competition and he took up the post in September of that year. Lord Bew, in other words, operates at the heart of the Cameron administration. The BBC reported that Bew would earn £500.00 per day as part of the remuneration for this post and that he will continue to teach Irish History and Politics as a professor at Queen's University Belfast. Cic Saor can now reveal the identity of the experienced and highly respected academic who blew a loud whistle over the poor standard and slanted nature of the Paul Bew/Ed Moloney Boston tapes project. 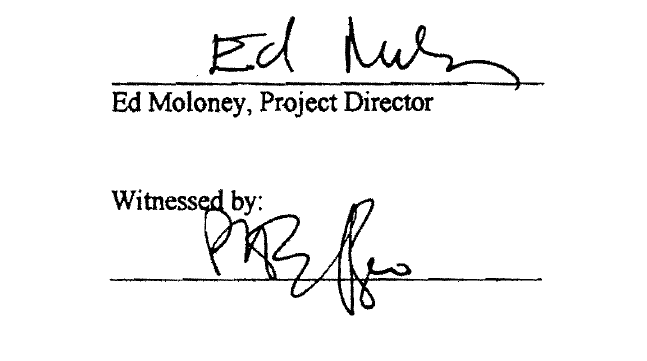 Bearing in mind that it was Queens Academic Paul Bew who effectively appointed Ed Moloney to the project and Bew who also selected his former PHD student McIntyre as the man to do the interviewing. Paul Bew - In 2002 he referred to Gerry Adams as smelling like “rotten cabbage”. Up until a few days ago very few of the reports regarding the interview tapes of ex IRA members that led to the arrest of Gerry Adams, carried a mention of ‘Lord’ Paul Bew – a central figure within the British establishment and signatory to the neo-conservative Henry Jackson principles.